Great value Home quotes in 60 seconds! Prices so low, we're practically giving it away! Get a Home Quote in 60 second and buy online in just 3 minutes! Special Motor Insurance Rates Online! Get Low-Cost Van Cover Today! We also insure tools - but we don't insure "tools" - if you know what I mean! Protect the Cute Pets You Love! Insure your beloved pets, Dogs, Cats - we love 'em all...erm not Tasmanian Devils! Low-Cost Phone, Tablet & Gizmo Insurance! Insure your Laptops & Gadgets from yourself! Insure against Water & Accidental Damage and Theft. Get €300 Cashback When You Buy Online! Get up to €300 cashback for moving your mortgage protection or life assurance to us! 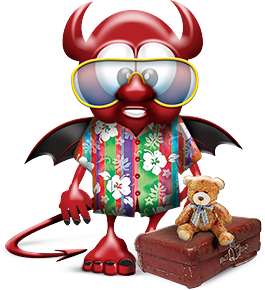 Whatever your type of travel QuoteDevil can provide the best, low-price Travel Insurance Policy for you. Get Great Cover for the Big Day! Note: Wedding Insurance doesn't cover being dumped! Simple to use and cheaper quote! Dealing with QuoteDevil is a pleasure! Quote Devil - half my current premium! 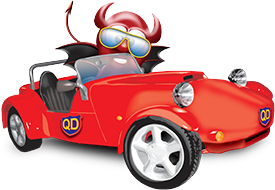 Although Quotedevil was launched in 2009 exclusively arranging home insurance quotes online, we quickly followed that up with our car Insurance brokers products in 2010. We initially specialised in young driver car Insurance but following requests from our home Insurance customers we followed that up with an over 25’s car Insurance policy. Now we have tens of thousands of motor policy holders who we have helped save thousands of euro on their car and home Insurance. If you complete our online car insurance quote form we will get back you with a quotation, or if you want to call our Irish based call centre we can give you a motor or home insurance quote over the phone. As well as delivering low cost car insurance and home insurance quotes online we also endeavour to provide excellent customer service and hopefully keep you on as a customer for life. Although we have previously specialised in house insurance comparison, because of our unique rating strategy and paperless way of incepting the home insurance policy, we were able to use just one insurance company to drive down the cost of our home insurance product. So we have some of the cheapest rates for home insurance in the country and we can complete the entire process in three minutes. This includes emailing your policy document to you along with your letter of indemnity instantly. If you have got your Health Insurance renewal, you can also request a health insurance comparison or a quote off our qualified financial adviser. We currently deal with Glo health Insurance. The best option for a motor or van insurance quote comparison is to speak to one of our motor insurance advisers and we can compare your existing policy to our products and advise you of the best option for you. 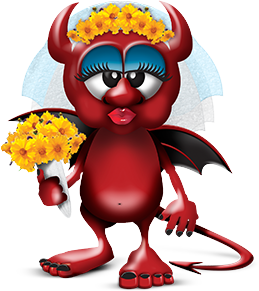 Quote Devil specialise in all kinds of car insurance, from young drivers, to high performance vehicles, to drivers with convictions and all those in between! At Quote Devil we pride ourselves on the special relationship we have with our insurers and endeavour to offer all of our polices at an affordable price. We have been arranging car cover in Ireland since 2009 and have a team of highly trained car insurance specialists that will help you to find the policy that fits your needs as well as your budget. Whether you are choosing fully comprehensive or third party cover, we will provide you with the most affordable quotations possible. 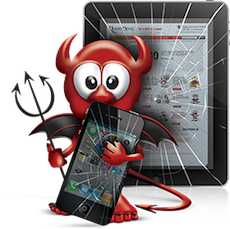 Give one of our friendly agents a call today on 01 2541300 and find out why thousands of people in Ireland are choosing Quote Devil for their car insurance. What Makes Quote Devil Stand out From the Rest? We are committed to making sure you get the best priced insurance cover for our customers. We know that getting you good cover at a good price is very important! We are committed to obtaining the lowest possible price for new policy holders as well as driving down current policy prices and keeping them down across all of our products. 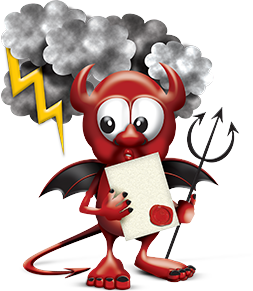 Quote Devil’s team of experienced product advisers will take a look at your current policy and look at some of our own policies, with regards to cover terms and the price. This gives you all the information you need to make the choice that’s right for you. Our advisers are highly experienced and we are confident they are the best in the business!! Quote Devil has been providing affordable low cost insurance in Ireland since 2009. We would like the opportunity to improve your cover options and reduce your premium also. How to Reduce the Cost of your Policy? 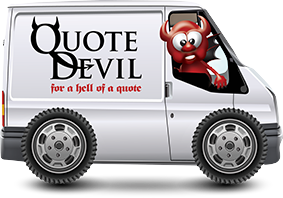 We know insurance can be a big expense so at QuoteDevil we are constantly helping our customers find the right cover at an affordable price. We have put together a list of tips to help you reduce your premium. From building up your bonus to adding a named driver, increasing your excess to having a home or car alarm, we are dedicated to getting you great cover at a great price! It goes without saying that you should shop around when it comes to your insurance. There are many insurance companies offering cover at a variety of different prices. However, we know that this process can be both time consuming and mind boggling! 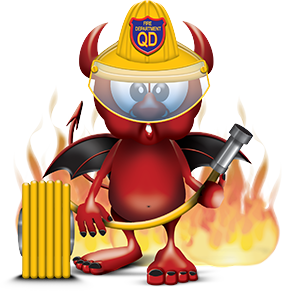 At QuoteDevil we can do the hard work for you. We have a number of different insurers and polices to choose from in order to find you the cover you want at a price that suits you. Building up your No Claims Bonus is the best way of reducing your home or motor insurance premium. Did you know you save up to 55% on the cost of your policy by having a Full No Claims Bonus or 6+ Years of claims free driving on a policy in your own name? Now that really is a saving!! One of the biggest mistakes people make when taking out their car insurance policy is over valuing their vehicle. It is very important to keep in mind that an insurer will only pay out the market value on your vehicle in the event of a claim and not necessarily what you have said the car is worth at the time of purchasing your policy. Although paying by direct debit can sometimes seem like the better option it is important to note that it can work out as a more expensive option. Choosing to pay by direct debit can increase the cost of your policy by up to 20%, so if possible try to pay upfront and avoid the extra cost that goes with direct debits. Did you know that by increasing the excess (the amount you pay in the event of a claim) on your policy can reduce your annual premium? Most policies have a standard excess of €250 but by increasing this to €350 or even €500 can save you up to 15% on the overall cost of your policy. Adding your spouse or partner to your motor policy, as long as they have a full licence, can reduce your motor insurance premium. Likewise, adding a named driver to your motor policy that has full time use of their own vehicle can also bring down the cost of your car insurance. Where you park your vehicle overnight can have an effect of the cost of your motor policy. Parking your car on your driveway or on private property rather than on a public road can mean a saving of up to €60 on your annual motor insurance premium. Having working security features on your vehicle can reduce the cost of your motor insurance policy by up to 15%. Things like a working alarm, an immobiliser and a vehicle tracker can help bring down the cost of your policy as well as give you peace of mind.